The Republican Party of Virginia’s 39th Delegate District Committee will hold a mass meeting at 10:00 AM on Saturday, April 27 at Magill’s in Annandale (7201 Little River Turnpike). 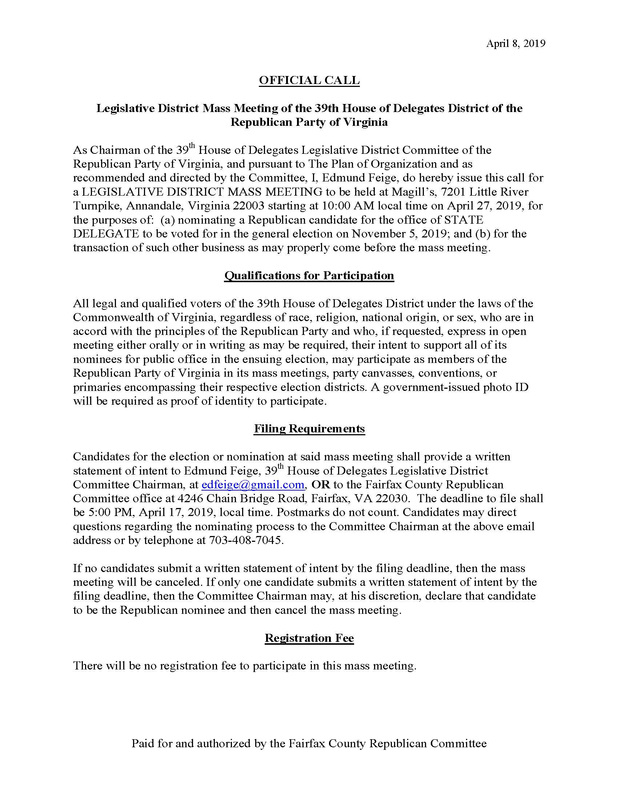 The purpose of the meeting is to nominate a Republican candidate for the office of Delegate to run in the general election scheduled for Tuesday, November 5, 2019 (click here for the official meeting notice). 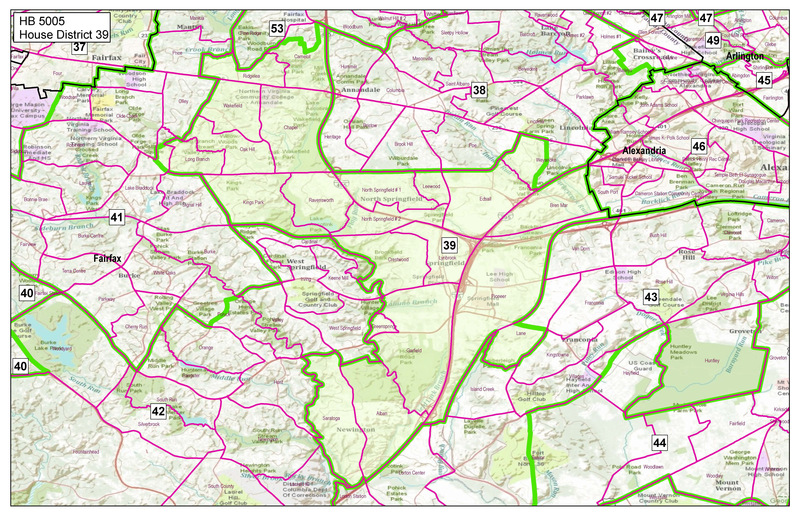 Click here to find your precinct. The Legislative District Chairman, Edmund Feige, is looking for volunteers to support the mass meeting. Anyone interested in helping out should contact info@fairfaxgop.org. Subscribe to the FCRC Newsletter! Copyright © 2018 Fairfax County Republican Committee.